Once again, Can-Am demonstrates its commitment to innovation in the UTV market! 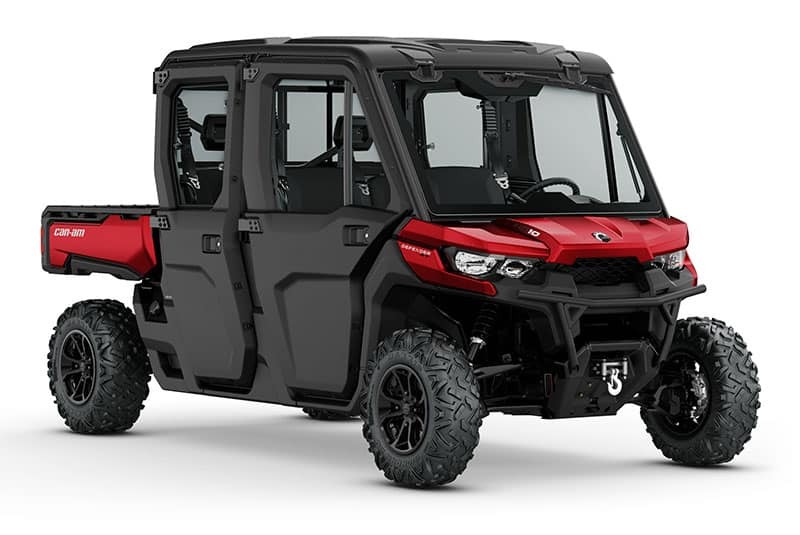 Each year sees new and improved four wheelers that showcase functional improvements and greater affordability while remaining true to the brand's promise of unrivaled performance. Pick your trail, choose your adventure, and experience the Can-Am enriched off-road experience! Always trail-friendly, the new Maverick Sport family also provides reduced maintenance intervals and a highly durable chassis. Nonetheless, the overall design is still easy for the DIYer. Outfit it to your own tastes with a choice of 140 Can-Am accessories, including MTX speakers, window nets, and batteries accessories. 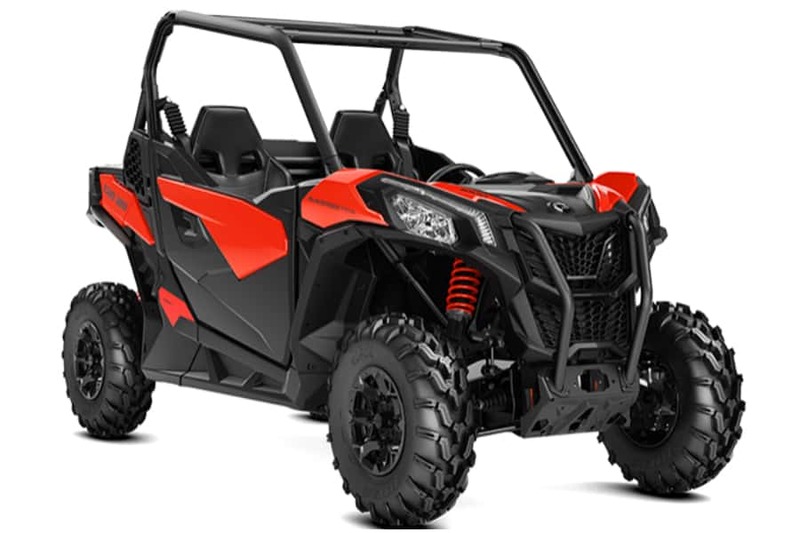 With three packages and three color schemes to choose from, you'll be challenging the trails in the side-by-side of your dreams. When you're looking for a four wheeler for your adventures, take a look at new Mavericks. Improved agility, off-road performance and precision control mean great rides anywhere, on nearly any terrain. You'll find the Maverick has predictable and adaptable handling that requires only minimal effort on your part. All X3 side-by-side vehicles now have high-torque, tri-mode Dynamic Power Steering (DPS) system. You'll see a big improvement on low-speed riding and enhanced input feedback to the driver. This year's models also have enhanced overall comfort and dependability, as well as a new front sway bar link for durability and enhanced cornering. A new electrical cover better protects the engine control unit - a big plus when you hit those watery mudholes! 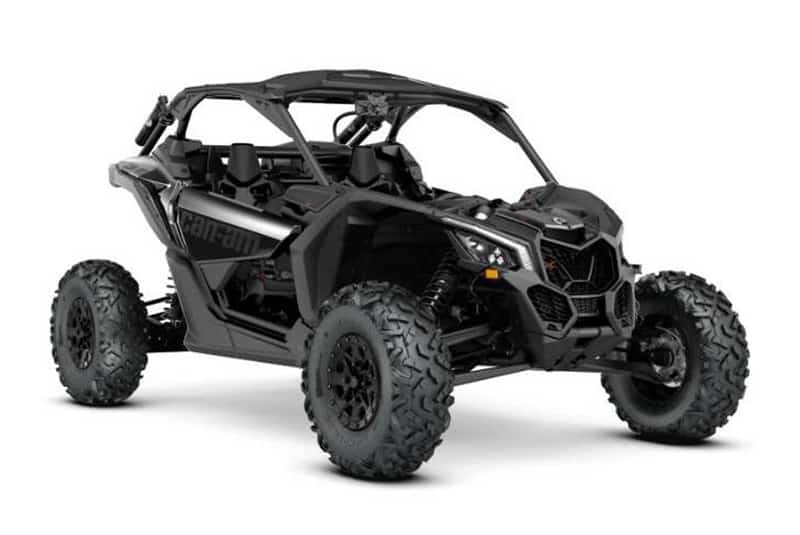 Be sure to take a look at the Maverick X RC 1000R package that turns the Maverick Sport into a dedicated rock crawler. It challenges the terrain with a big 64-inch stance, oversized tires, arched a-arms, and rock and trail driving modes. The X MR 1000R features mud-specific features like a 64-inch wide stance, snorkled CVT and engine air intakes, a mud-specific driving mode, and mud-slinging ITP Cryptid tires. Get ready to roar in this one! Looking for a four wheeler for sale? Can't quite make up your mind about options? With a dozen Defender packages to consider, one thing stands out: Choice is a given. Defender HD5 and DPS HD5 come with the HD5 single-cylinder Rotax engine:. DPS stands for Dynamic Power Steering, and you'll notice the difference immediately. The rest of the Defender family bring the power of a Rotax V-Twin engine, either the HD8 (50 hp, 799.9cc) or HD10 (72 hp, 976cc). The XT and the XT CAB also have Dynamic Power Steering, and feature lockable rear differential and Visco-Lok QE auto-locking front differential. The 14-inch cast-aluminum wheels carry 27-inch Maxxis Bighorn 2.0 tires. Add in the three-person VERSA-PRO bench seat, full HMW skid plate, selectable ECO/Work/Normal driving modes and you're ready for whatever the trail can throw at you. You also appreciate the 4500-lb winch, front bumper and hard roof. The CAB version provides extra comfort, with a heater kit and a cab enclosure. Windshield, wiper/washer kit, doors with electric windows and a sliding rear window complete the package. Choose from either the HD8 or HD10 engine. The six-person Defender MAX is a more basic version of the other MAX options. and is only available with the HD8 Rotax. There is no winch, less storage, and no power steering. The MAX XT CAB is a fully loaded MAX, complete with the bigger HD10 engine. It has all the features of the XT CAB, but it will seat six. The rest of the Defender line all come with the bigger HD10 976cc Rotax V-Twin. We're not just a Can-Am dealer: We go out and ride the slopes, too! Let our experts help you choose the four wheeler that fits your needs and tastes. Meet the Commander XT, the ride-anywhere Side-by-Side UTV. Acclaimed as the machine with the right features, performance and price, the Commander XT shows off best-in-class power for both the job site and the trails. Equipped with a choice of 71 or 92 HP Rotax engine and twin fuel injection, and independent rear suspension, this machine will do what you ask -- and more! Three levels of rider-adjustable steering assistance means precision handling and reduced kickback. And responsive, lightweight radial tires offer a smother ride with predictable cornering. Using you Commander for work? You'll appreciate the versatile and usable cargo box with two storage levels that hold a total of 600 lbs. Anti-rust and anti-dumping features add to the value. And the 4,500 lb. winch includes dash control and roller fairlead for precision operation. Are you ready to take it to the level with a new Commander XT? If you're considering a UTV for sale, come in and see what we can do for you!